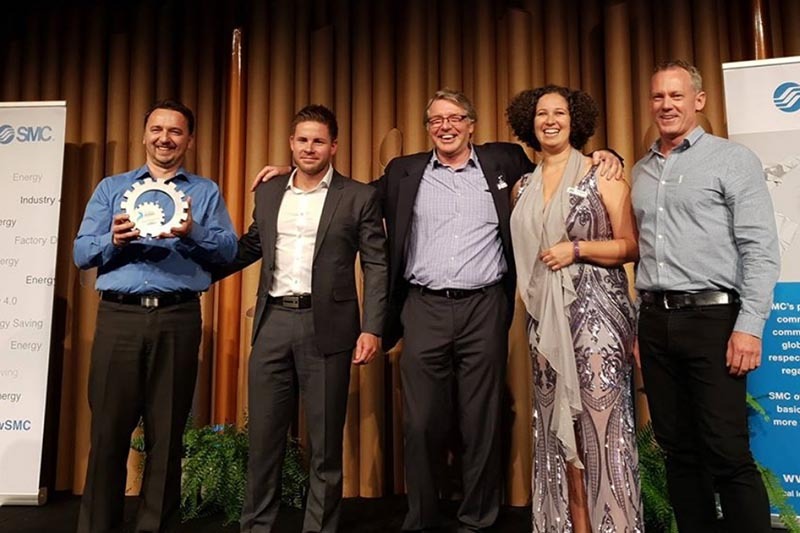 The packaging and processing machinery industry’s top achievers were announced last night (Wednesday, 27 March 2019) in the Australian Packaging and Processing Machinery Association (APPMA) Awards of Excellence. Foodmach won the Customer Collaboration Award for Foodmach's turnkey project at Dulux Merrifield's Industry 4.0 factory of the future. Foodmach also won Best New Product Award and Best Imported Equipment Award for the GEA Vipoll ALL IN ONE filler—which can accommodate both carbonated and still beverages, either hot or cold filling, and fills bottles and cans in multiple formats—and was first installed at Lion's Malt Shovel Craft Brewery. Thank you to the Australian Packaging and Processing Machinery Association and the judging panels, Dulux for a great partnership and Lion and GEA Vipoll for believing we could. Most of all, thank you to our hard-working team! Pictured here: Director Peter Marks, CCO Earle Roberts, Service & Product Manager Dr Rym Kachouri collecting awards for Foodmach. 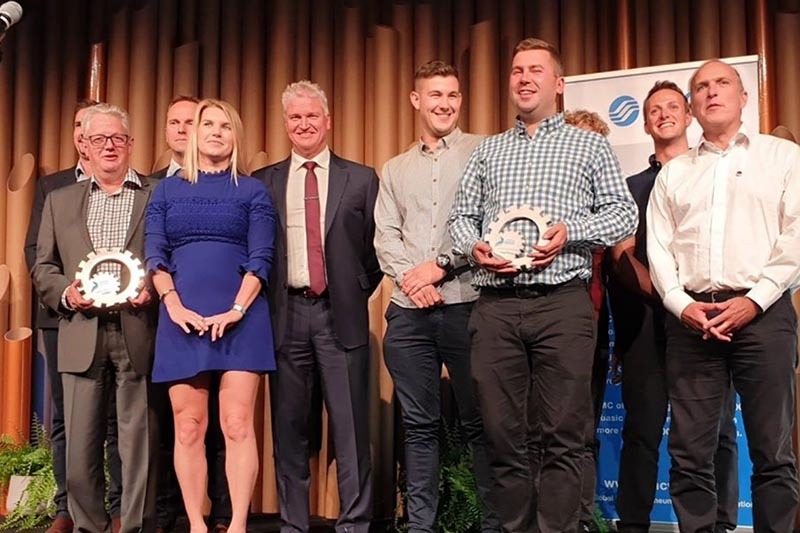 The finalists in the Australian Packaging and Processing Machinery Association (APPMA) Awards of Excellence have been announced. Foodmach is a finalist in three categories for the Dulux Merrifield Industry 4.0 project and the groundbreaking Vipoll ALL IN ONE filler. Industry-leading OEMs are among the finalists in the Australian Packaging and Processing Machinery Association (APPMA) Awards of Excellence announced today. With a record number of entries for this year's awards programme – 50 submissions across five award categories – the judges had their task cut out for them. Foodmach's collaboration with Dulux for the Merrifield project has resulted in 'one of the top Industry 4.0 batch plants in the world'. 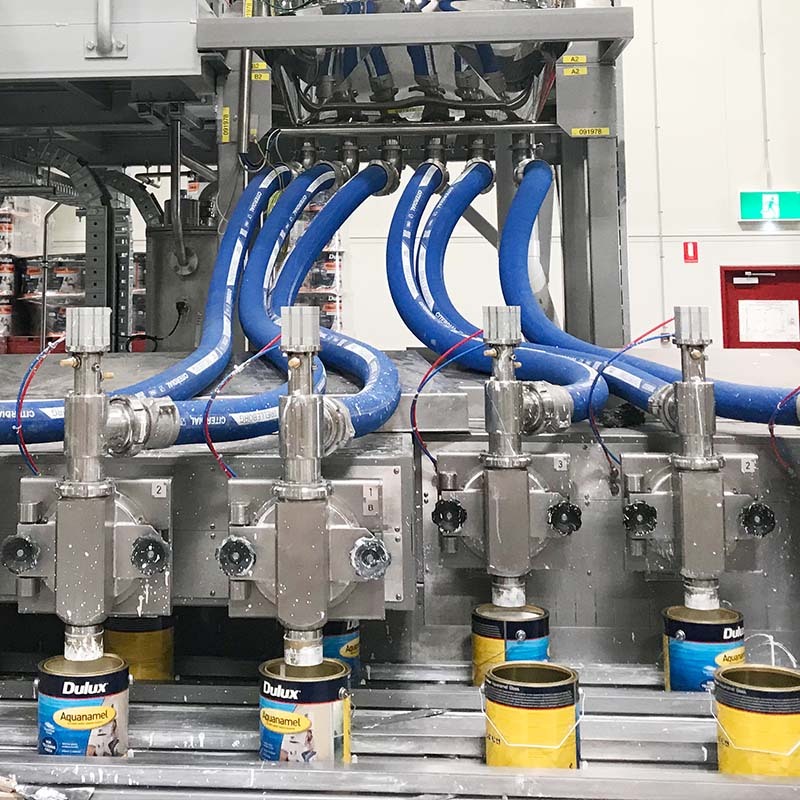 The Vipoll ALL IN ONE FILLER, recently introduced to the Australian market by Foodmach, is a game-changer for beverage production lines. 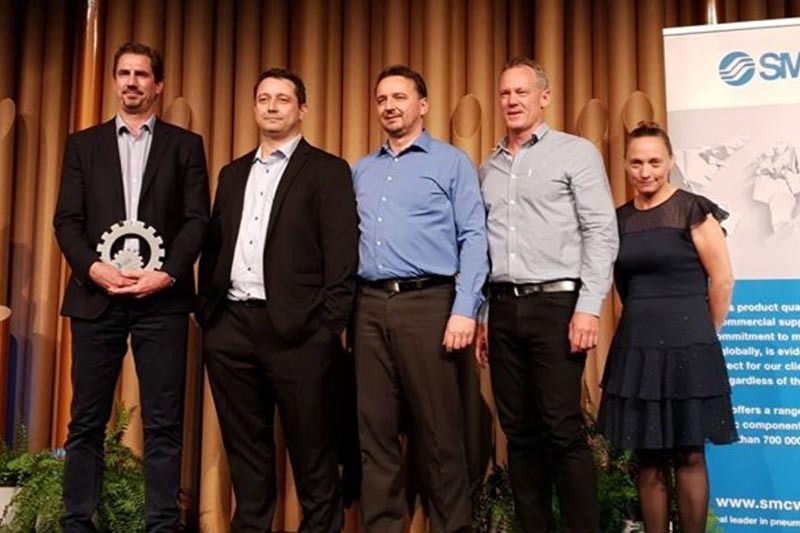 Winners will be announced at the Gala Awards Ceremony on 27 March as part of AUSPACK 2019 Packaging & Processing conference and exhibition. Historically, the only way to combat counterfeit and diversion risks in the supply chain successfully is to uniquely identify and authenticate individual products. This was done by adding additional unique covert or overt technologies to each product. Foodmach is introducing game-changing technology to Australia and New Zealand. Foodmach has signed a partnership agreement with Systech (USA) who have developed anti-counterfeit technology that doesn’t require any additional technology, code or symbology on the consumer packaging. They use inherent variances in the normal barcode printing process to uniquely identify each product produced. 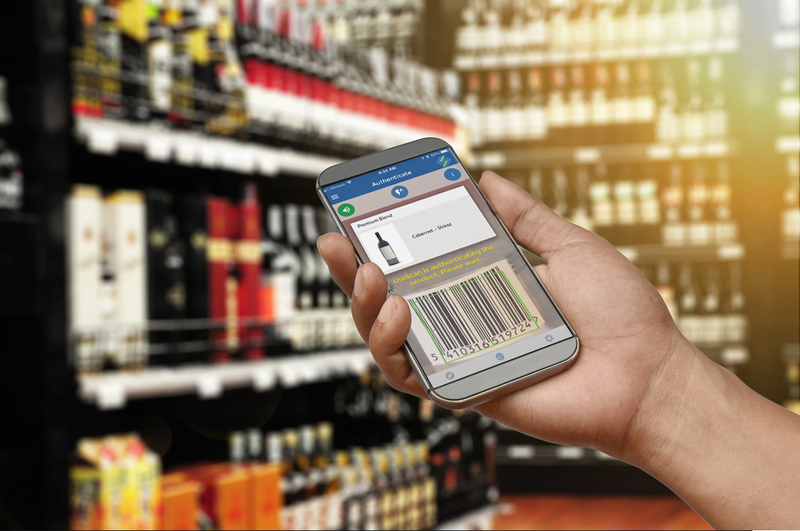 Systech UniSecure® is the only proven, non-additive, product authentication solution that leverages existing product barcodes and packaging to create a unique signature that cannot be duplicated. It ensures product authenticity, protects brand equity and assures consumer safety. Systech will be demonstrating the new technology alongside Foodmach at AUSPACK 2019. For more information, contact us. We challenge ourselves to put you behind the wheel of the most powerful production line solution possible, so our comprehensive range of flexible automation accommodates every packaging need, from filling, labelling, inspecting through to conveying, case packing, palletising and pallet wrapping. Even better—we integrate all our equipment with your existing line and give you a line management system that gives you useful live data and full operational control. We can get you closer to Industry 4.0 for less. Come and see us in action at Auspack! Foodmach is proud to announce the launch of its first export project to China. Polished Robotics is a Foodmach venture that expands its automation offer to robotic surface finishing, laser applications and assembly—and opens up new international markets to its Australian-made innovation. 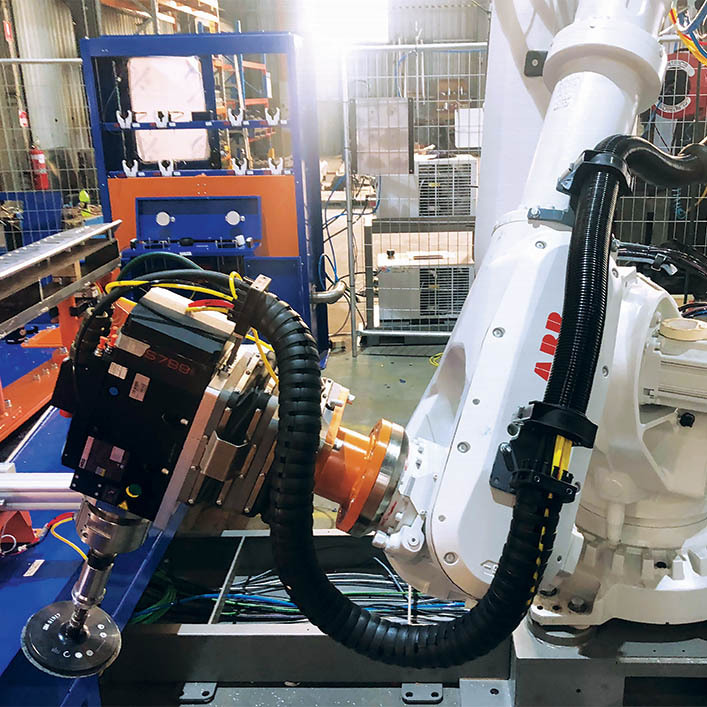 The first project sees successful delivery and installation of a robot finishing cell to Foshan Superband, one of the world’s largest aluminium foundries. Polished Robotics harnesses Foodmach’s manufacturing skills and expertise in robotics automation systems. Foodmach’s strength in automation in the domestic Australian food and beverage market positions it well to entering this dynamic industrial automation space. The Grand Opening will be held at Foshan Nanhai Superband Mould Co., Ltd on the 14th December with ribbon cutting by Paul Sanda, Australian Senior Trade Commissioner, and the Deputy Consul General, based in Guangzhou. Superband senior management and Foodmach directors Peter Marks and Geoff Murdoch will be in attendance. Date coders and labellers are necessary to get product out of the door and onto customers' shelves. 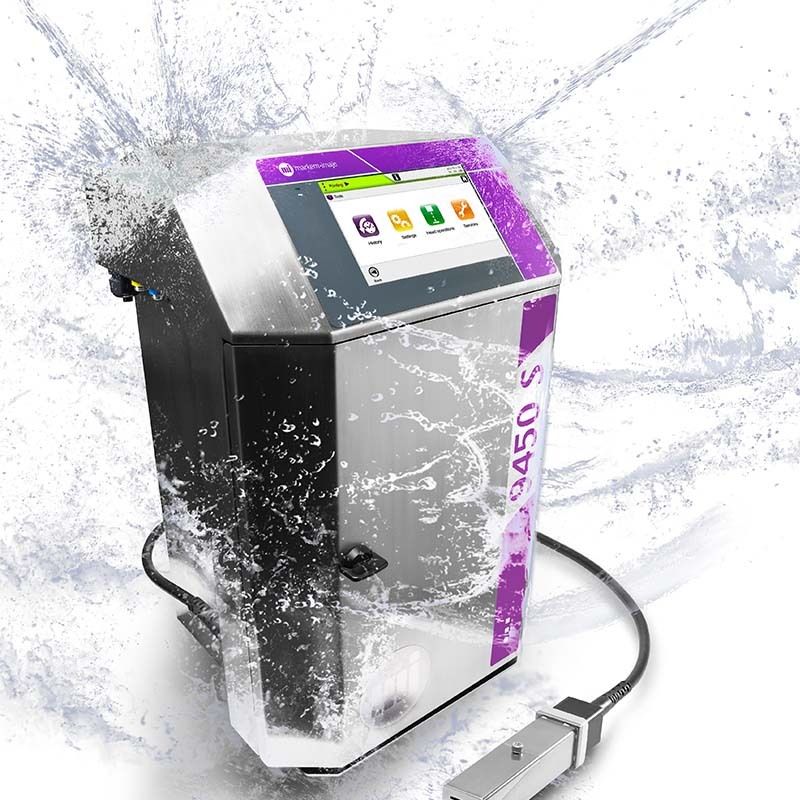 They are typically robust and reliable, but—like all equipment—do need regular maintenance and consumables such as inks, solvents, labels, ribbons etc to keep running. They also sometimes break down or perform out of specifications because of maintenance issues, setting issues, product changes etc. 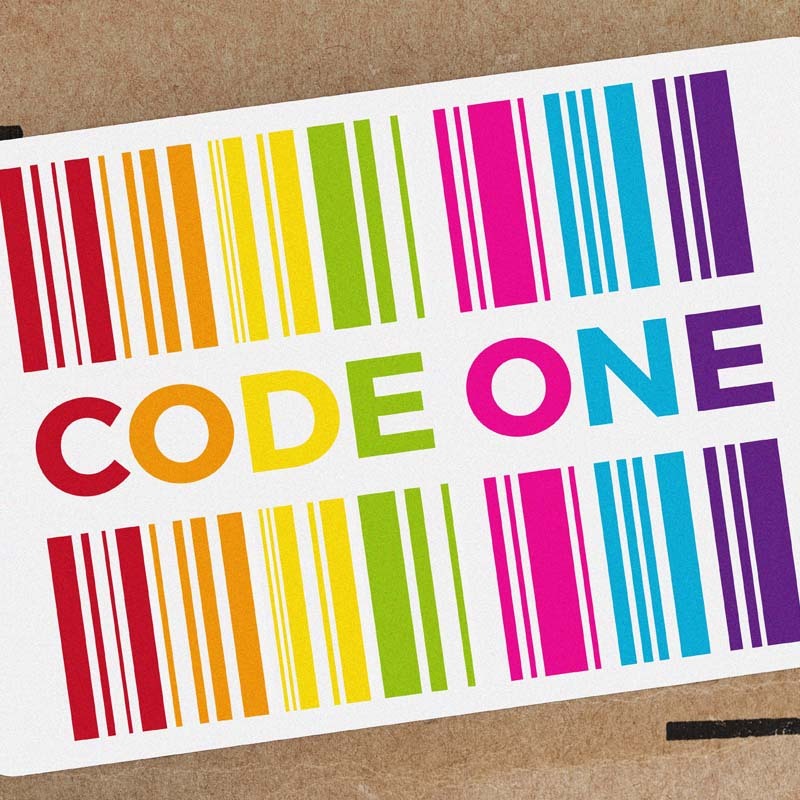 Foodmach's new Code One package turns variable coding and labelling costs into one fixed, low monthly cost. For one monthly fee, we supply the printer, spare parts, service and even printing consumables. We take care of the lot. At the end of the 5-year period, you can choose whether to continue with the rental, upgrade the equipment, or buy the equipment for an attractive price. Foodmach can even supply our product traceability software solutions as a part of a Code One package, for complete control of product traceability and finances. Call 1800 FOODMACH to see how Code One can help your business. In 2004 an excited Chris Bishop bought a major shareholding in Foodmach. His enthusiasm for supporting an Australian manufacturer was infectious. He quickly built a rapport with the Foodmach team, from top to bottom. Chris had many friends in our industry and was highly respected. Chris was Chairman of Foodmach from 2004 to 2015, before divesting and moving on to semi-retirement. The whole Foodmach team is saddened by Chris’s passing on Monday, August 27, 2018. We offer our condolences to Chris’s family and friends. 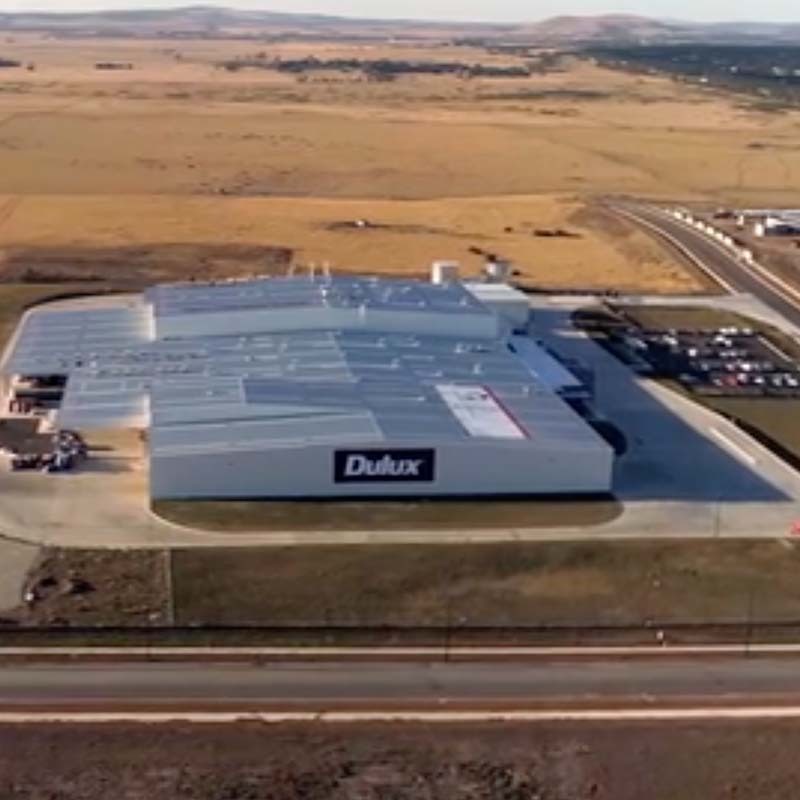 DuluxGroup's new $165M greenfield site in North Melbourne has been in operation for three months, with outstanding results. Foodmach supplied all the depalletising, conveying systems, robotic orientation, AGV and laser coding/labelling systems, integrating our equipment with equipment purchased from international OEMs, and provided an over-arching line control system able to handle all the challenges of batch paint production, now and into the future. The Dulux name is synonymous with quality and innovation. It is consistently voted one of the most trusted brands in Australia overall—across any product category. "This (new) factory is really, really agile. We’ve got the ability to go down to as small as one pallet of paint in a batch, to 30 000 litres of paint in a single batch. That agility gives us an advantage over the opposition. We can now make batches in 1/50th of the size, in 1/8th of the time." "We’re able to virtually eliminate manual interventions – reducing from approximately 75,000 per annum – giving us repeatability and pin-point accuracy with our recipes." "Industry 4.0 is the future. Foodmach are right at the cutting edge... a great partner to take you in that journey." Foodmach announced an agreement with Italy-based Robopac to take on the agency for Robopac pallet stretch wrappers. 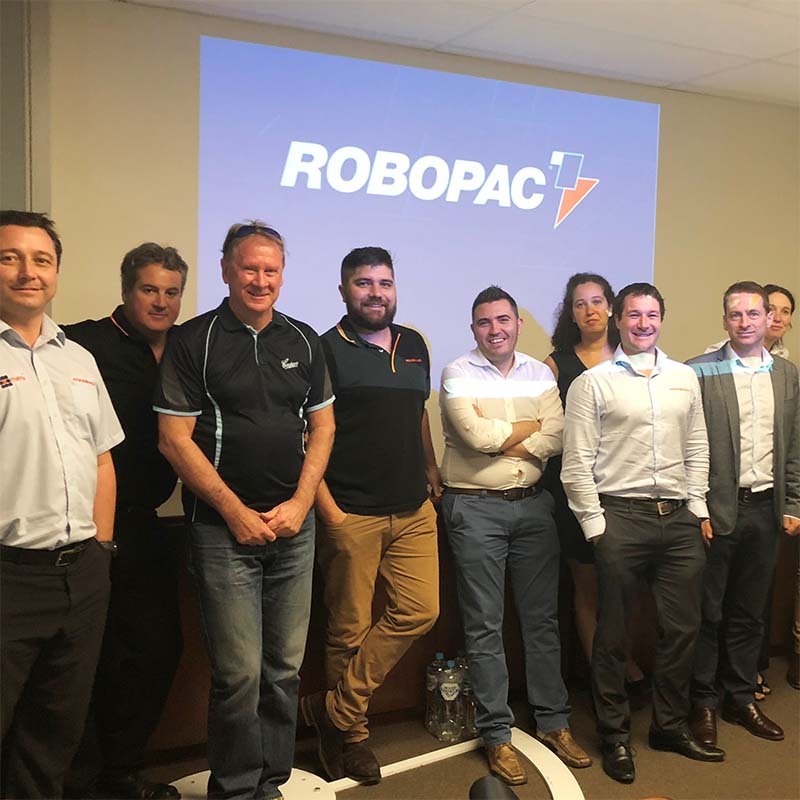 The agreement includes sales, service and support of all Robopac fully automatic stretch wrappers in Australia. This range of pallet wrapping solutions complements existing palletizing solutions in the portfolio and enables Foodmach to supply complete end-of-line packaging solutions to Australian manufacturers. In addition to pallet wrappers, this agreement gives Foodmach access to the complete range of Robopac case packers, including Dimac and Prasmatic. Smart packaging technologies like Robopac cube technology allow Foodmach to deliver on their vision to give packaging line managers more speed and control than ever before. “This announcement follows on from our distribution agreement with Markem-Imaje for coding and labelling in December last year and endorses Foodmach’s position as a highly respected and capable partner for premium packaging automation suppliers from Europe,” said Foodmach Chief Customer Officer, Earle Roberts. “All new solutions complement our ability to design and deliver a complete packaging line solution, from end-to-end, with local automation, engineering and manufacturing expertise supplied from our Echuca factory”, he continued. Foodmach is partnering with cutting-edge technology suppliers, re-imagining traditional packaging lines into smart factories and building expertise in emerging automation technologies for Industry 4.0 to build world-class packaging lines in Australia. For more information on the Robopac range, call Foodmach on 1800 FOODMACH. Read this coverage on Packaging News. Foodmach has teamed up with Lion to bring a ‘new to world’ filler to the Australian market. The filler is new technology released by Vipoll at Drinktec in Munich late last year and is the first in the world to be able to run glass bottles, aluminium beverage cans and PET bottles through the one machine. The Vipoll Visitron will be installed by Foodmach as part of a major line upgrade at one of Lion’s iconic craft breweries. 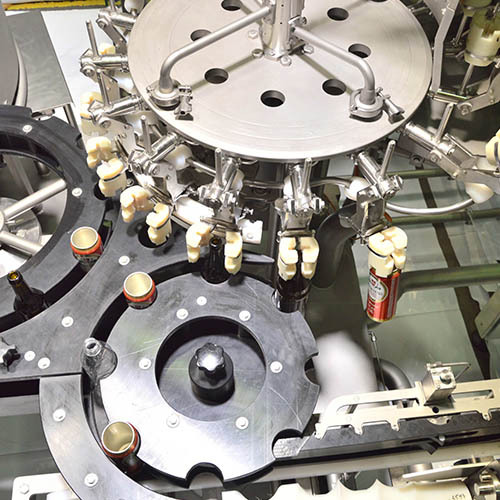 The filler is a monoblock rinser/filler/capper/seamer and delivers Lion the flexibility to run both bottles and cans in less than half the footprint separate fillers would have required. 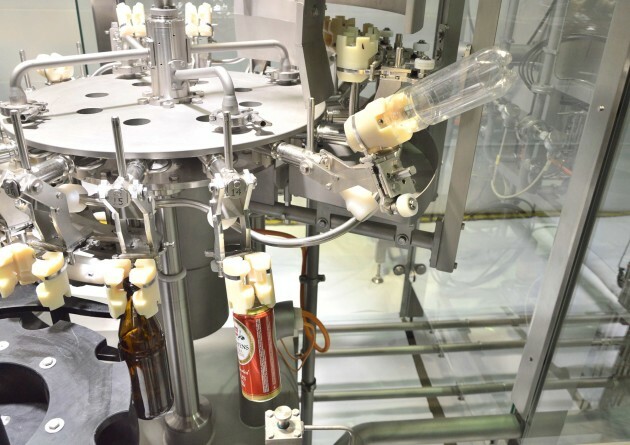 The use of universal grippers allows for fast changeovers from cans to bottles (less than 30 minutes), and between bottle sizes as required. The filler will be one of the first of its type installed globally and will be in operation by the end of the year. A global study has revealed that nearly half of Asia Pacific manufacturers will have smart factories by 2022. PKN Packaging News reports that manufacturers will continue to adopt Industry 4.0 and the smart factory. 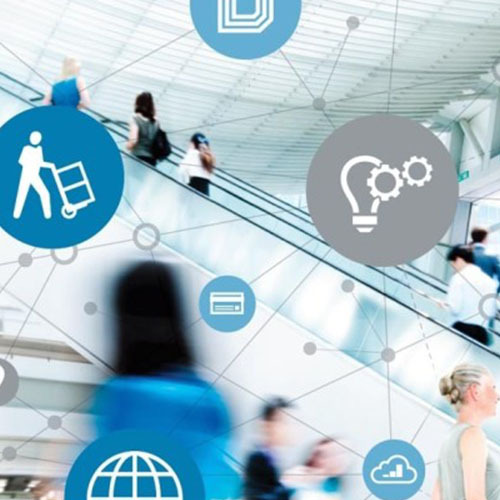 Workers will use a combination of radio frequency identification (RFID), wearable technologies, automated systems and other emerging technologies to monitor the physical processes of the plant and enable companies to make decentralised decisions. Global coding and marking specialist, Markem-Imaje, has appointed Foodmach as its new authorised Sales & Service distributor in regional Victoria, regional NSW and South Australia, effective from 1 Dec 2017. 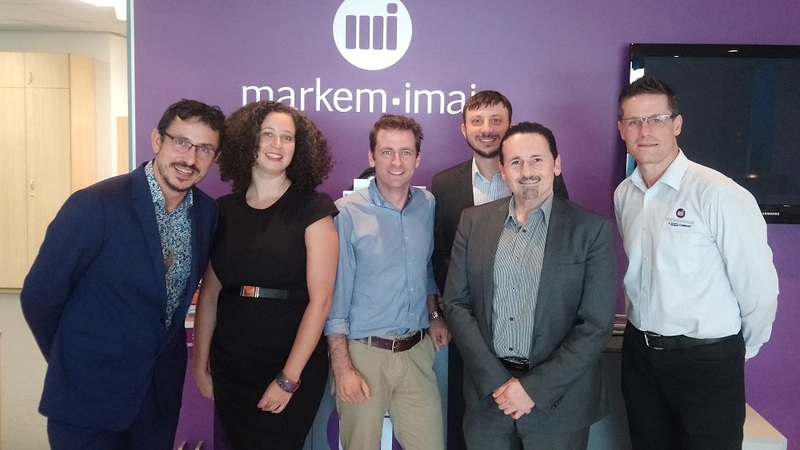 “We are confident that Foodmach we will strengthen Markem-Imaje’s presence and ability to serve our customers in a more efficient and effective way. The newly formed partnership will see an expanded offering, which will support the growth of our business and an increase of our service level,” said Frank Giordano-Hauser, Channel & OEM sales manager, Oceania, Markem-Imaje. 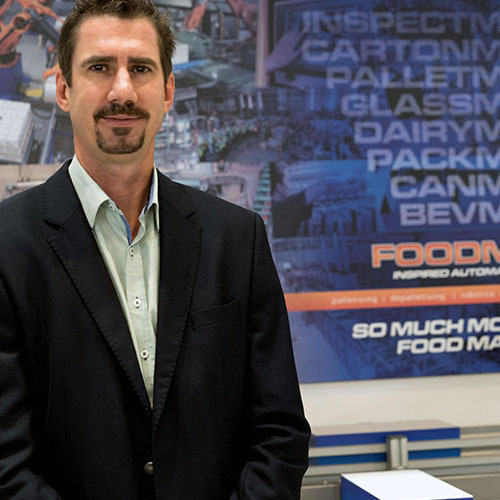 Leading the business will be Tim Baron, who joins Foodmach from Sick Australia and will take up the role of Business Manager, Coding and Labelling. Foodmach will also employ two Markem-Imaje team members based in South Australia: Rachel Harding, account manager and Jake Parry, service engineer. Foodmach has a dedicated team of electrical and safety accredited engineers and software programmers leading the way in safety compliance in Australia/New Zealand. 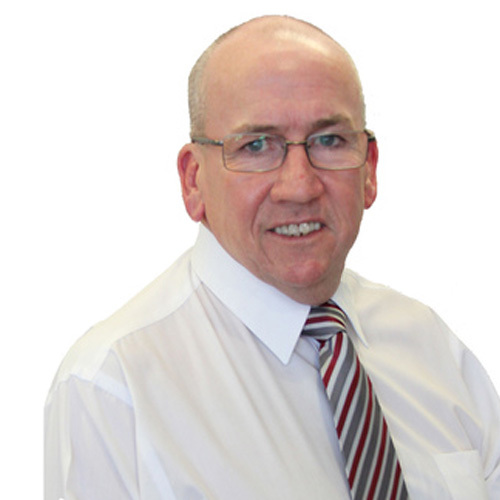 We are happy to announce that Wayne Pearse has just joined our dedicated Safety Team. Wayne is highly regarded in the industry. He is TÜV Rheinland certified as a Functional Safety Expert and Engineer for Machine Safety, and has 18 years of experience in the manufacturing industries, designing and implementing modern safety systems based on Rockwell Automation and Pilz safety automation solutions. 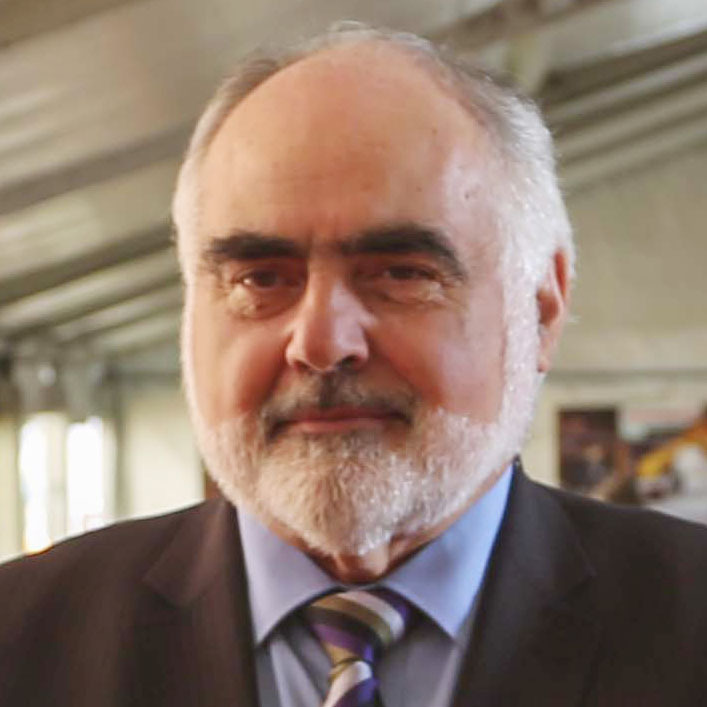 He is an authorised TÜV Functional Safety trainer, delivering Functional Machine Safety training for customers in Australia/New Zealand and the Asia Pacific. Call us on 1800 571 825 or email service@foodmach.com.au to see how we can help you meet increasingly strict legal and standard requirements. Four new directors have been appointed to the National Board of the Australian Packaging and Processing Machinery Association (APPMA). Foodmach is proud to announce that our very own Dr Rym Kachouri was unanimously voted in at the Annual Board Meeting in September. Dr Kachouri is the Service & Product Manager for Foodmach, driving our agency lines and 3rd party product development. 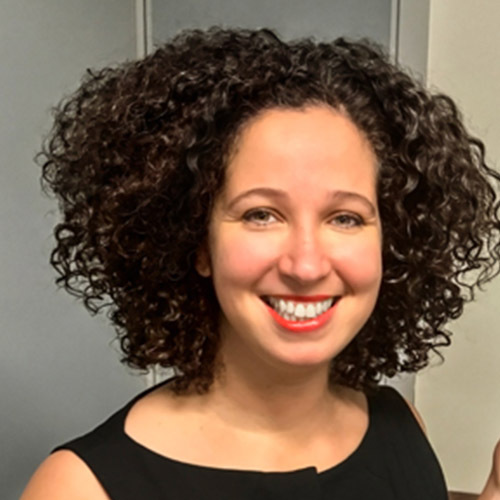 She was previously the Technical Manager for Heuft System Technik GMBH in Shanghai, and Post Doctoral Researcher for Pharmazentrum-Biozentrum in Switzerland. The Australian Packaging and Processing Machinery Association is the only national organisation to represent the packaging and processing machinery industry. Members include manufacturers and importers who are major suppliers to the food, beverage, cosmetic, pharmaceutical, veterinary and household packaging industries. Packaging automation integrator Foodmach has appointed Earle Roberts to its team in the newly created role of Chief Customer Officer. The former CEO of Fibre King, Roberts will now be responsible for sales, marketing and service at Foodmach with a focus on customer expansion and extending the company’s range of offerings. Roberts brings over 20 years’ experience in the Australian packaging equipment industry. Foodmach director Peter Marks said he was pleased Roberts could bring his extensive experience and skills to the table. Roberts was equally looking forward to working with the packaging automation integrator. “I’m delighted to have the opportunity to join Foodmach’s high-quality team,” he said.